The Samsung Unpacked event is underway: Check out our live coverage of the Samsung Galaxy Watch unveiling here. Samsung's 9 August Unpacked event where we expect to see the Galaxy Watch unveiled alongside its new Note smartphone, is just days away. But it looks like we could have come across more details that reveal what we can expect from the follow-up to the Gear S3 and Gear Sport. A Reddit user by the name of u/Wan997 has posted a thread entitled, "Some info you might've not read about yet regarding Note 9/Galaxy Watches". The Redditor claims to be very close with a Samsung national trainer (whatever that is) and has spilled some information that we've yet to see covered in previous Galaxy Watch rumors and leaks. 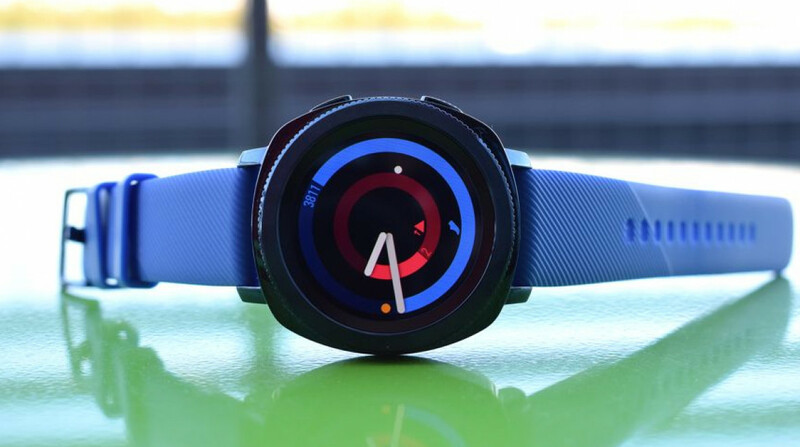 The first bit of info we've got is that the Galaxy Watch will be available in 42mm and 46mm watch sizes aimed at offering options for both men and women. To put that into perspective, the Samsung Gear Sport packs a 42mm body while the Samsung Gear S3 featured a 46mm body. So Samsung may well be sticking with similar sizes for its new watches. We weren't massive fans of the leap up in size in the S3 from the S2, but again, this information may or may not prove to be accurate. Next up is the fact that there will be a new rose gold model, although a recent leak of the new watch on Samsung's own website appeared to confirm that was already going to be the case. On the software front, there will apparently be 40 workout modes as opposed to the 10 modes featured on the Gear S3. Now here's a couple of things that if they are proved to be true, will be a pretty big deal. The first is the claim that the Galaxy Watch doesn't include MST technology but will include NFC to support Samsung Pay contactless payments. Why is this a big deal? Well, it means that Samsung Pay will have support for less card readers and may not be good for territories like the US where NFC technology is not as wide spread as it is in other countries. On a more positive note, this informed Reddit user claims that the Galaxy Watch will have 7-day battery life. The Gear S3 could muster up around three to four days and Samsung did issue software updates to improve that battery performance futher. The Gear Sport meanwhile was around the three to four mark as well. So seven days would be a significant improvement and means it would offer more than what the Apple Watch, Fitbit's smartwatches and Google's Wear watches can deliver. Whether this information proves to be on the money, it seems like we've only got a few days to find out what Samsung actually does have in store for fans of its smartwatches aside from a name change. Do you like the sound of these rumored Galaxy Watch specs? Let know in the comments section below. 42mm for women .... Yeah about that. Most of my big men's watches are 41mm. The Gear S3 could muster up around three to four days and Samsung did issue software updates to improve that battery performance futher. The software updates were just trying to repair what earlier updates broke. Not always successfully. If its going to be same with the new watch, it will end up after about a year with reduced battery life from like 7 to 2 days because of some other faulty update.